Until a few years ago, attracting traffic to the website was quite simple. You found high volume keywords for SEO, wrote content around it, promoted it on social media, grew your followers and subscribers, earned links, and used ad platforms to drive conversions. However, the trend seems to have changed now. In his presentation titled ‘The Next Era of Web Marketing: 2019 and beyond’, Rand Fishkin spoke the uncomfortable truth. 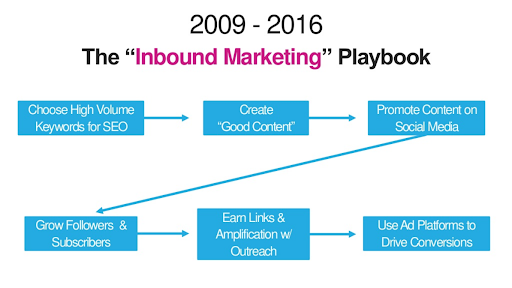 He announced that the 2009-2016 ‘Inbound Marketing’ playbook has failed to generate the results that marketers were used to seeing until 3-4 years ago. Let’s focus on the two primary platforms that marketers rely upon for generating leads and growing business. For a long time, marketers relied upon Facebook to market their business. After all, the reach was good, and marketers did not have to spend a lot of money on marketing. Most of the traffic to the pages were organic. However, last year, Facebook announced the change in algorithms to make the platform less ad-driven. “I’m changing the goal I give our product teams from focusing on helping you find relevant content to helping you have more meaningful social interactions,” said Mark Zuckerberg when he announced the algorithm change. 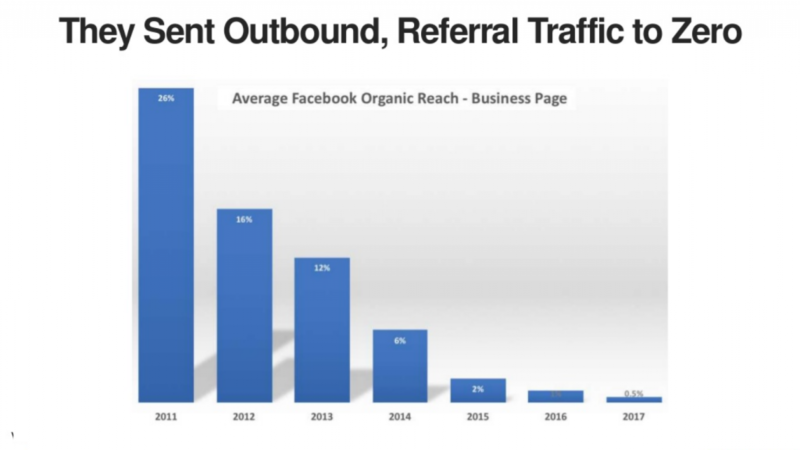 The change killed the organic reach. The organic reach to the business page had almost diminished to zero from 28% in 2011 to 0.5% in 2017. For a long time, marketers concentrated on strengthening their SEO and investing in Google AdWords to generate traffic to the website. However, for the first time last year, Google sent less organic traffic to the website by answering the questions themselves. Google is shifting from being a search engine that directs traffic elsewhere to the one that answers all the questions within the search results itself. Marketers must stick to the basics. Rand Fishkin advises marketers to make their website and email list the center of all digital campaigns. 100 true fans are better than 100,000 visits, he says. How do you get your fans? Generating visitors to your website can be a challenge especially when the organic reach is limited. How will you make people aware of what you do if they do not visit your website? There’s a simple solution to it. Focus on addressing their pain point first. 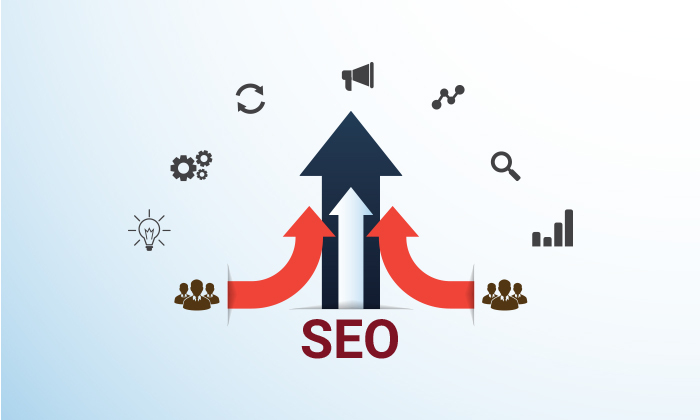 For example, if you are the owner of a digital marketing agency, you know that optimizing the website for the search engine is their primary concern for every business. 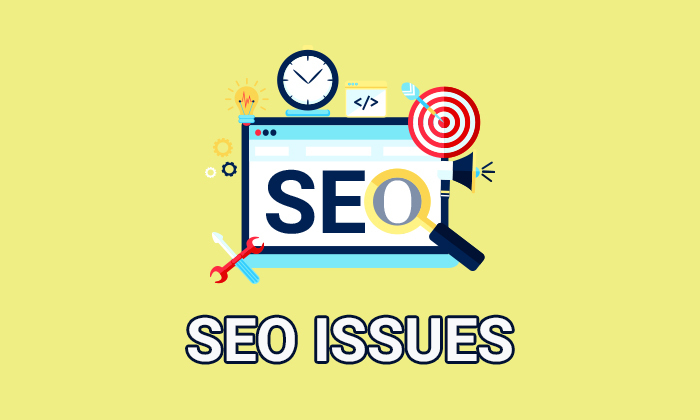 You can address this problem by giving your prospective customers a reason to visit to your website and giving them an option to get a detailed SEO audit for FREE. That’s how Hubspot and Neil Patel generated traffic to their website earlier. While HubSpot’s Website Grader is now a separate tool, Neil Patel’s SEO analyzer is still a part of his popular website. 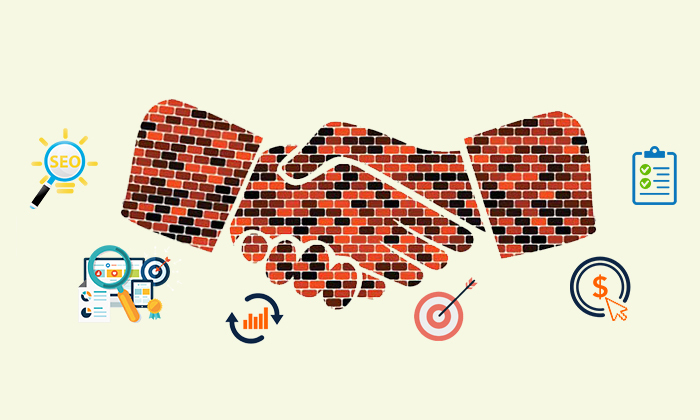 Recently, Fractional CMO, a digital marketing agency did a similar thing to differentiate themselves from the other players of the industry. Instead of talking about themselves or their services, they gave the visitors the option to self-assess their website for free. By adding a White Label SEO Audit Tool, Fractional CMO was able to increase its leads by 400% and save their time on creating lead generating assets such as blogs and ebooks. Once you show your value to the visitor, they will be compelled to revisit your website and engage with you further. That’s how great websites like Canva and HubSpot do. They show you the value of their offerings on your first visit, engage with you further to build your trust, and eventually make you their fan. It’s the best way to find high intent prospects and get referrals without spending too much money and efforts on generating leads. The second suggestion by Rand Fishkin is to build the subscriber list, or in other words, the email list. Email marketing completed 40 years recently, and though people believe it to be dead, the fact is it is still relevant. According to Statista, there are over 3.7 billion email users currently, which is set to grow to 4.3 billion users in 2022. Emails are the best way to build trust with your prospects and customers as it is a direct communication from you. By developing an email list, you can engage with your prospects in a more personalized way. From sending them weekly curated content to offering special discounts, you can offer a lot of value to them and show them the benefit of engaging with you. The challenge though is to get people to share their email IDs. There are several ways in which you can build an email list. Some of them are age old techniques like: you ask your blog readers to subscribe with their email IDs to receive future content from you and some are time taking and expensive ones like: create gated content such as ebooks and whitepapers, which can be accessed only after the personal details are shared. However, most people are wary of sharing their email IDs to avoid receiving unsolicited emails from companies. 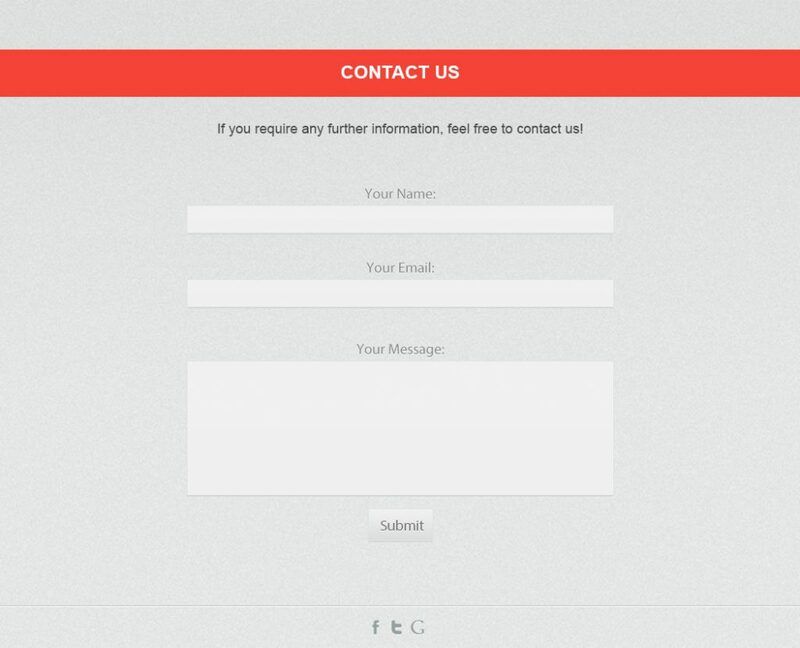 If you want your visitors to share their email ID voluntarily, you need to build trust with them. And that’s only possible when they see value in what you offer. Let’s go back to Fractional CMO’s case study. 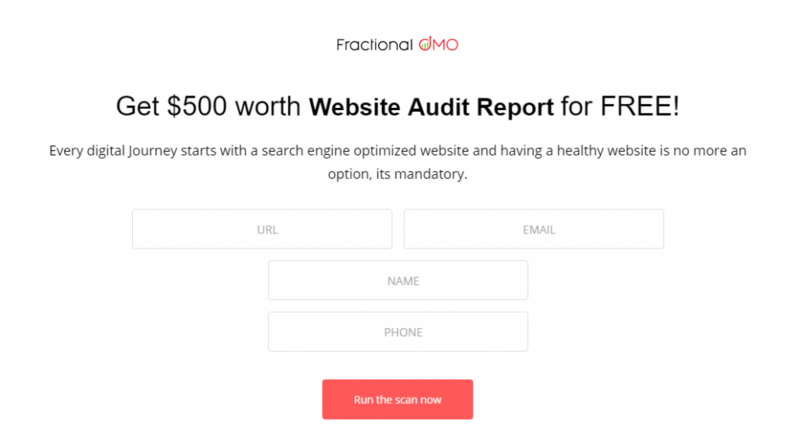 Fractional CMO gave the visitors an option to audit their website for free. To receive the website audit report, the visitor had to enter their website’s URL and the email ID. That’s how Fractional CMO built their email list and later converted them through lead nurturing. 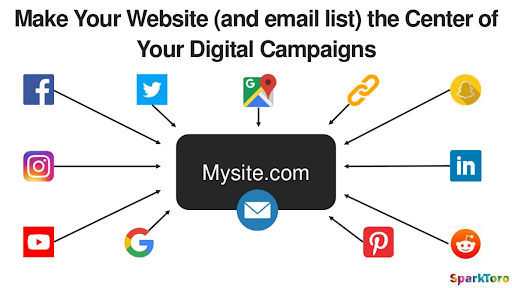 So, find a ‘Do It Yourself’ kind of a tool that will not just keep your prospects on your website for a longer time, but also prompt to share their email ID voluntarily. How to begin with the process of retaining visitors on your platform? What value your website visitors will get if they come to your website? For ex: If you run a digital marketing agency, an seo audit makes a perfect sense. However, if you want to generate leads like Neil Patel and HubSpot, you can begin with a white label SEO tool. RoboAuditor is a white label SEO tool will allow your visitors to audit their website for free and get the report of its performance on their email ID within minutes. It’s that simple! The SEO audit report should is white labeled in the real sense, i.e., the report has your logo and not that of the tool provider but of your business. 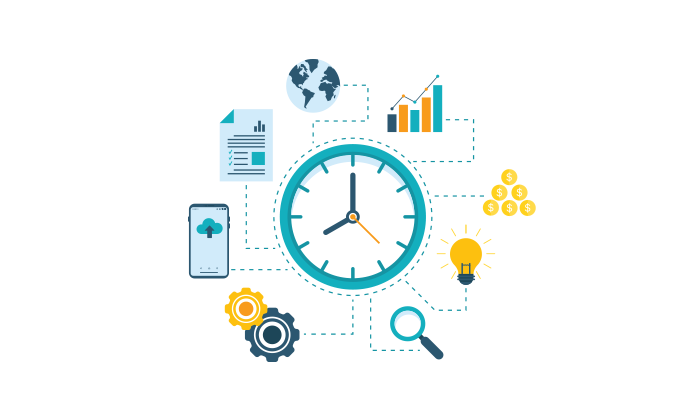 Ability to integrate and send the leads in real time to the right marketing or CRM systems like HubSpot, MailChimp, Salesforce, etc. 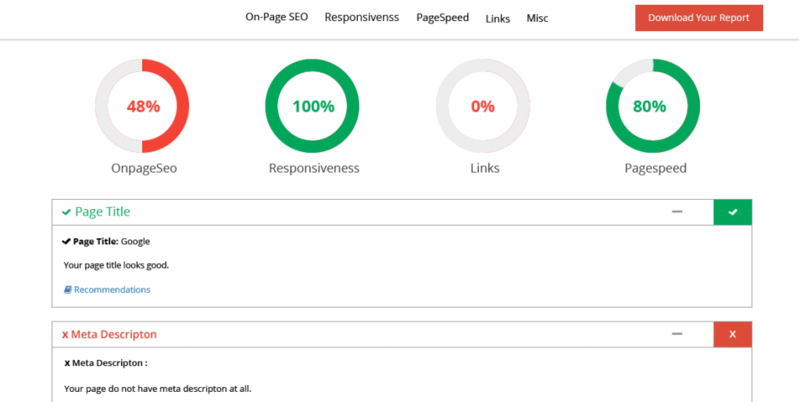 RoboAudito gives a detailed SEO report with more than 70 parameters covered. It is one of the few reports where the exact line of code or image is also shown up in the report. Most importantly, the tool should be user-friendly. It should not need a specialized team to install it. It should be easy for anyone to install. Tools such as RoboAuditor are easy to install. You just have to embed code on the website, and your audit tool is ready for use! Able to show the SEO audit report in any language you wish too. Yes, You can show RoboAuditor SEO Audit report in more than 6500+ languages. If you want to give RoboAuditor a try, sign up for a free trial. We are sure; you will not be disappointed with the results. These two tips will help you get started with forming a fan base. Once your fan base is built, it will be easier for you to generate more traffic and leads for your business without having to rely on social media and other platforms that can become unpredictable with the change in algorithms. You must have read about how sending an audit report of the prospect’s website while writing a cold email pitch to them can increase your chances of conversion. It’s true; a website audit report can be a great icebreaker between you and the prospect. It shows the amount of research and the level of commitment you have towards the prospect’s company. However, all those efforts could go in vain if the report does not carry your logo and instead carries the logo of the SEO tool you used to audit the website. The prospect would not be able to distinguish between your agency and the SEO tool that you used. That’s where a white label SEO audit tool comes to your rescue. What is a white label SEO audit tool? The white label SEO audit tools are similar to the free SEO tools you find on the internet, except they are more comprehensive, sophisticated, secure, and most importantly, anonymous. Let’s explore these features in detail. Your prospect would want to know everything that’s wrong with their website before engaging with you. A preview of the report would not likely help them make a decision. White label SEO tools offer a comprehensive report on the health of the website. It covers everything right from on-page SEO to technical SEO parameters. 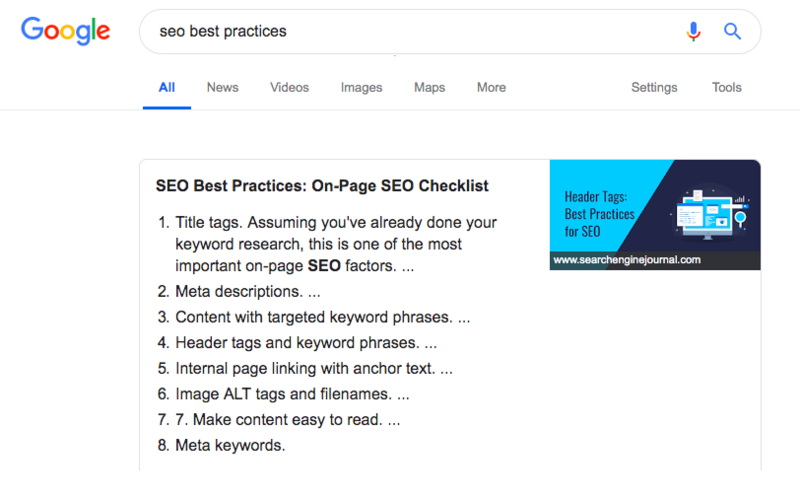 Free SEO audit tools, on the other hand, include just the basic parameters, which the prospect might already be aware of. So, you have sent your prospect the audit report. What’s next? What if the prospect considers the report but does not respond to you? How are you going to push them further down the funnel? The role of a free SEO audit tool ends at generating the SEO report. A few white label SEO tools help you further until the conversion process is completed. RoboAuditor, for example, offers integration with tools such as MailChimp, HubSpot, Zapier, etc. to make it easier for digital marketers to push the leads further into the funnel. They also support more than 6500 languages. If you plan to target prospects from other countries, a customized report in a particular language can give you an edge over your competitors. At a time when companies are conscious about how their data is used, a report with a third-party branding might not go well with your prospect. You also don’t know how those free tools use your prospect’s data. With White Label SEO Audit Tool, you will have more control over the data. You will also be able to instil faith in your prospect by stating that their data is secure and will not be sold or used in the wrong way. 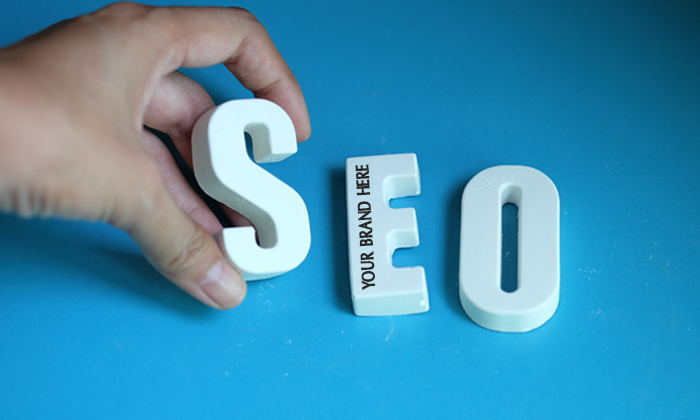 White label SEO tools are developed by another company, but their identity can be masked by adding your logo on the top of the report. It is a win-win situation for both you and the prospect. You can save cost on developing a tool from scratch and time on analyzing and generating SEO reports manually, and your prospect can get an understanding of the gaps they need to fill to improve the website. What to look for while choosing a white label SEO audit tool? Does it help in generating leads? The primary purpose of auditing a website is to generate leads. 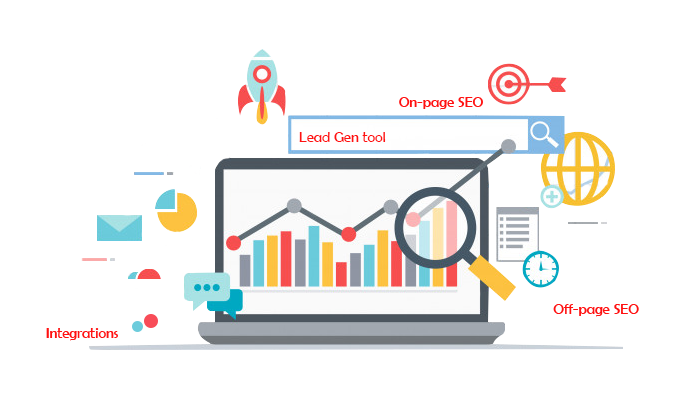 If the white label SEO audit tool does not help in generating leads, you may want to look for a tool that enables you to do that. Check if it offers integration with other tools that will aid you in your lead nurturing process. Does it audit all the SEO parameters? Check if your white label audit tool analyzes all the SEO parameters in the website. As we mentioned above, your prospect would want to know the health of their website in detail. If your tool offers just a preview or skips auditing some of the important parameters, it might not be worth the investment. Opt for a tool that checks for all the parameters. Compare the best available white label SEO audit tools before making a decision. Does it comply with the EU-US Privacy Shield Framework? The SEO audit tool will be capturing the data of your prospect’s website. Before you add a disclaimer on your website stating that you will safeguard the data of the user, ensure that your white label SEO audit tool complies to it. Growth Robotics, for example, has clearly mentioned how it will process the data of the customer. The purpose of having a white label SEO tool is to save cost and money on building a tool of your own. So, if you need a team to install the white label SEO tool, it might not be a feasible investment for you. Look for a white label SEO tool that is not dependent on an IT team for installation. RoboAuditor, for example, is so simple to add on your website, that even a non-technical user would be able to do it. White label SEO audit may require you to make a small investment of as low as $10 per month, but the results that you will derive from it is amazing. Our clients such as Fractional CMO and ZNetLive have managed to increase their leads with the help of white label SEO audit tool. Thinking of giving it a try? You can begin with a 14-day Free Trial of RoboAuditor and see the results for yourself before subscribing to it. According to a report by Forrester, digital marketing will grow at a CAGR of 9% by 2023 with companies spending over $146 billion on it. So the businesses are realizing that if they have to improve the top line and the bottom line, they have to go where their target audience is. With more than 55.1% of the world’s population having access to the internet, it’s clear that no matter which industry a company belongs to or what they offer to their customers, having a digital presence is a must. Now merely having a website will not help. If companies want to grow their business, they have to invest your time, money, and resources into marketing their offerings. The good part about digital marketing is that it gives companies an opportunity to explore multiple channels such as social media, digital paid advertising, SEO, videos, and much more. However, all these efforts will be effective only if they have the right experts to do it. That’s why most companies prefer to outsource their marketing operations to digital marketing agencies. 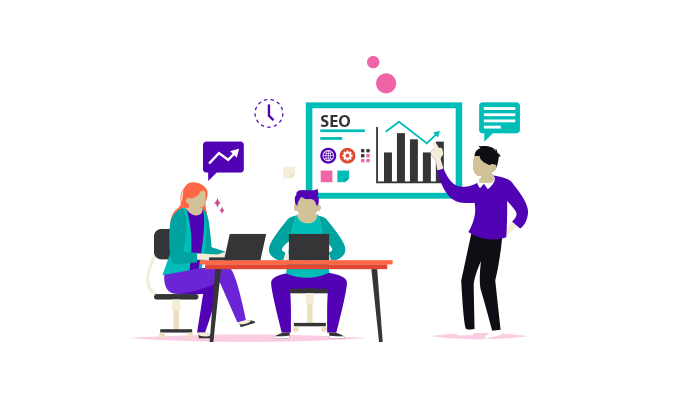 A digital marketing agency has the right mix of experts such as website developers, graphic designers, SEO experts, campaign managers, content writers, etc. that helps companies to achieve their marketing goals. However, with so many agencies mushrooming every passing day and with each of them claiming to be one of the best agencies in the market, companies can have a tough time choosing the right one. Here’s where you can make a difference. In the world of ‘me too’ digital agencies that talk about the services they offer without providing any substantial evidence, you can create a difference by showing them the value you can offer them. And you don’t have to do multiple things to create a difference. There’s just one thing that you need to do. Offer a solution to a problem when they visit your website even without interacting with you! Yes, it is possible. This is a similar strategy even the big marketing mavericks like HubSpot, Moz & Neil Patel have adopted. Let’s assume you are a customer who wants to increase the traffic of the website. You are looking for a digital marketing agency that can help you with it. There are two agencies you find interesting – one that has an amazing website with good eBooks and blogs and another that along with ebooks, blogs give you an option to audit your own website for FREE to find out the reasons for why your website is not getting traffic. Which one would you choose to engage with? If I were the customer looking for a solution, I would have chosen the second website. Why? It’s simple. The website gave me the first step of the solution – it shows me my problem. With the help of the website audit tool, I could identify the areas that require immediate attention and fixing. Of course, eBooks and blogs help in establishing you as an expert in the field. But when a prospect visits your website, they want a quick solution for their problem. By showing your prospect where the fault lies and what they can do to fix it, you would be able to gain a brownie point. Most likely the client would prefer to give you the task of fixing their SEO because you are aware of the problem and know what to do to make the website rank better. A similar approach was used by Fractional CMO, a HubSpot Silver Partner agency based out of the United States. Apart from their ongoing activity of writing eBooks and blogs, they added an option on their homepage inviting visitors to audit their website for free. The website audit tool helped them to reduce their marketing costs by 75% and increased their leads by 400%. Aah!! I am not a developer or do not have a tech team to develop these interesting tools !! If that question occurred in your mind, don’t worry! You can generate leads like Fractional CMO at just a fraction of the cost. The good news is you don’t have to spend a lot of money in developing a tool. 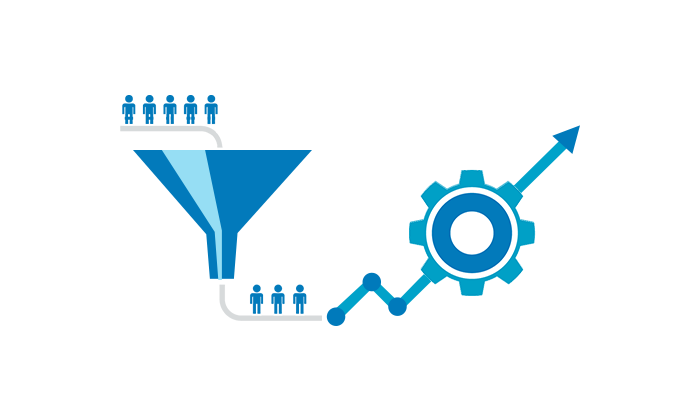 There are some white label SEO audit tools like Growth Robotics who will offer you a readymade tool for immediate use. 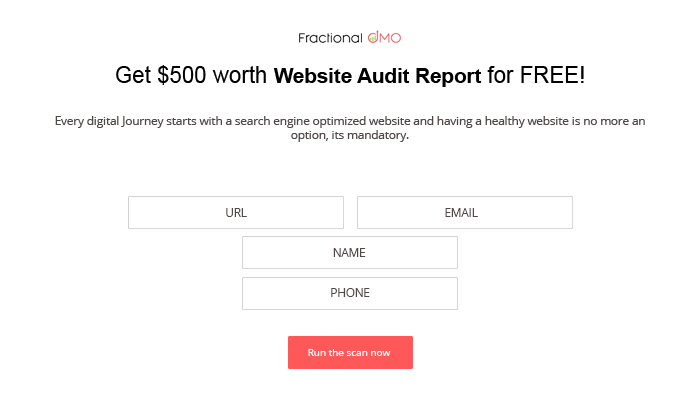 Just embed a few lines of code on your website and robot auditor is all yours:). Any visitor can audit their website using the tool, the report will be generated by RoboAuditor will carry your branding. 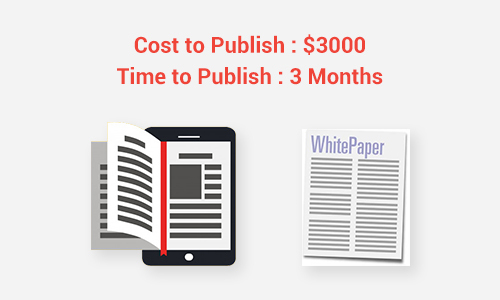 The cost of lead generation is 75% less than that of ebooks & white papers. It takes only a few minutes to bring it up and running. You will also be able to establish yourself as an expert who understands the problem of the customer well – an advantage that will help you score better than your competitors. Biggies like HubSpot, Neil Patel & Moz do the same. You can offer services and open an extra stream of earning revenue. 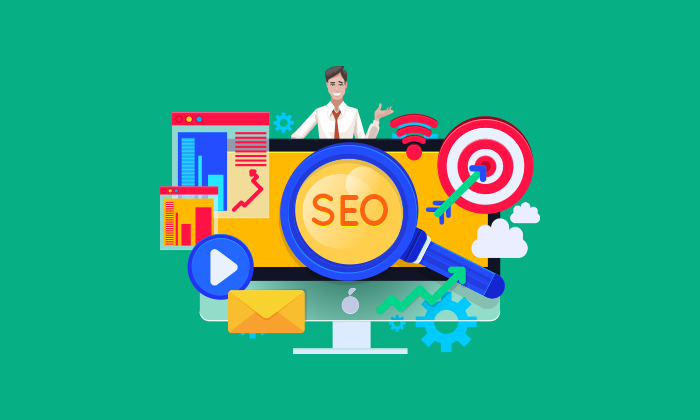 So, if you specialize in paid advertising or content writing, you can use SEO audits as an additional offering that can complement your existing offerings. Take a free trial today. You don’t even need a credit card to sign up. You just have to sign up and try the tool; you can pay once you are satisfied with the results delivered. Why White Label SEO Audit Tool is a Good Idea For Your Agency? 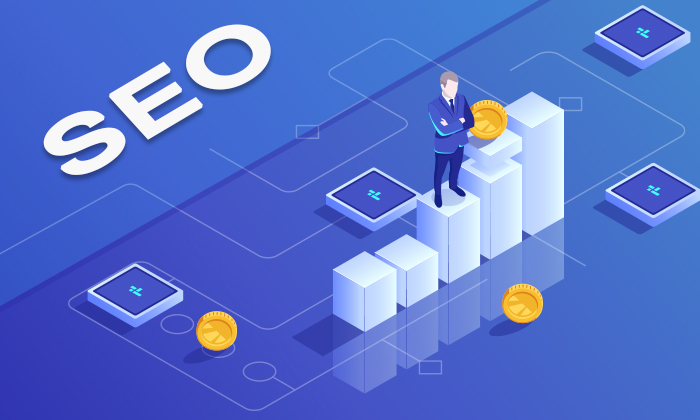 SEO has evolved since the time it officially started in 1997. It has come a long way from keyword stuffing to offering relevant content and online customer experience to the users. According to SmartInsights, over 6,586,013,574 searches are done in a day worldwide, which makes SEO the top priority for marketers. Search Engine People states that SEO leads have a close rate of 14.6% as compared to 1.7% of outbound leads. Companies have come to realize that having a website alone will not help if it is not optimized. They are now willing to spend money on it. Media analysts at Borrell predict that the total spending on SEO will reach $80 billion annually by 2020. SEO will continue to be the priority of companies for a few more years. In fact, with the evolution of voice search and mobile-first indexing, it’s only going to get more competitive and challenging. Considering that it’s a long-term strategy that takes months or even a year to show results, companies would prefer to outsource it to digital marketing agencies. There are thousands of digital marketing agencies waiting to grab the attention of the companies. It is therefore important to be a differentiator. Most digital marketing agencies promise to optimize websites but never reveals how they will do it. You can differentiate your offering by showing the shortcomings of the website to the prospect. This helps in establishing trust as it gives the prospect a broad idea of what their website lacks and how it can be addressed. You can offer to audit the website for optimization and give them an in-depth report on its performance. And you don’t even have to do it with the readymade audit tools available on the internet. Those reports are neither in-depth nor can the branding of the report be customized. That’s where white label SEO tool comes to your rescue. Why should you invest in white label audit SEO tool? Investment in a white label SEO audit tool is the best thing that you can do for your business. Let’s look at some of the benefits that you can seek out of a white label SEO audit tool. Developing a white label SEO audit tool right from scratch takes time. You also need a team of experts to develop the tool. With white label audit SEO tool, you can save on time and cost required to hire a team and develop the tool. You get a readymade tool for use. What’s more? Some of these tools are easy to use and also offer the option to add your own logo on the report that you generate. So, when your prospect sees the audit report, they essentially see a report from your agency. Companies prefer to work with agencies that have strong expertise in the field of SEO. White label SEO audit report acts as proof of your expertise in SEO and can help you to establish trust with your prospect. You can even direct the questions you receive from your prospects about the report to your white label SEO partner. A good partner should be able to help you address them. Do you know what’s common between Neil Patel and HubSpot? Both used SEO audit tool to attract traffic to their website and generate leads. 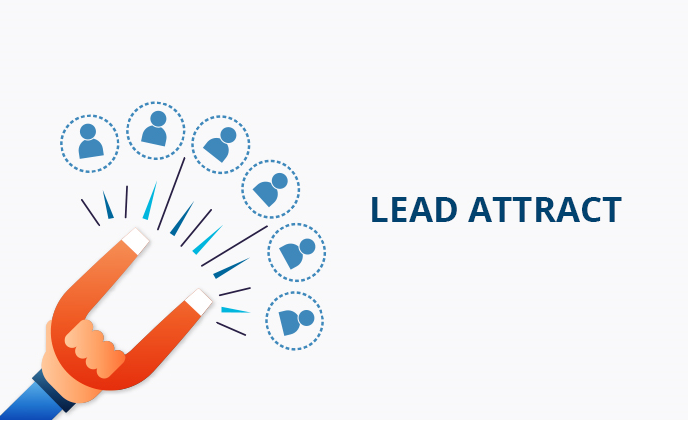 If you have been spending time and efforts in writing blogs and gated content to generate leads, you can consider using white label SEO parallelly to generate leads. One of our clients, Fractional CMO, was spending a lot of time and efforts in writing eBooks and blogs as a means to generate leads. They embedded RoboAuditor, a white label SEO audit code on their website and found a 400% increase in leads. While white label SEO audit tool is the best investment for your agency, it’s important to select the right tool to avoid burning your fingers. Expertise in their understanding of SEO: Check if the tool provider has a good understanding of SEO practices. Google changes its algorithms frequently, while the SEO landscape is evolving at a rapid pace. Your tool provider should be aware of the changes and offer updates keeping the changing trends in mind. User-friendliness: The purpose of having a white label SEO tool is to avoid investing in a team of developers and testers to build a tool. If the tool requires you to know to code, it might not be useful to you. Find a tool that can be installed by anyone in simple steps. RoboAuditor, for example, can be easily embedded by just copy, paste the code to your website. You don’t have to learn programming to do it. Excited to give white label SEO tool a shot? Try RoboAuditor free of cost for 14 days and see your agency grow to new heights. There’s a lot you can offer your clients as a digital marketing agency. 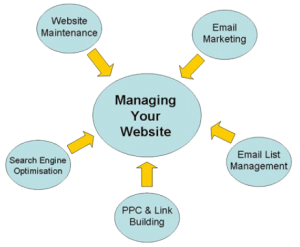 You can develop websites, design logos, manage social media marketing, do email marketing, SEO, paid advertising, phew the list can just go on! But if you think of it, every other agency offers similar service to their customers. Everyone promises to create a digital presence for the customer or generate leads for them. If you wish to cut through the clutter and create a differentiator, you have to find a secret ingredient that can bring you success. That secret ingredient can be anything – an evergreen eBook that makes you a thought leader, or unique services or products that make you different from other agencies, basically, something that will compel people to come to you instead of your competitor. Creating an evergreen eBook and blogs or coming up with unique products or services can frankly be time-consuming, especially, when you also have to focus on generating leads and serving your customers simultaneously. That’s where white label SEO can help you. How can white label SEO be the secret ingredient to success? Every company wants to rank high on the search engine page. But with Google updating its algorithms frequently, companies and marketers find it difficult to keep pace with the changes. Sometimes even a high ranked website sees a drop in the ranking due to algorithm updates. This makes SEO a mystery for many. The winner is the one who is aware of changes and unravels the mystery to the companies. That’s where you can be a differentiator. White label SEO gives you an opportunity to establish yourself as an SEO expert. You give an option to your prospect to audit their website for free by adding the audit tool available on your website. You send the audit report to the prospect to the email ID they enter in the audit form, with detailed results on how they fare on each parameter such as responsiveness, page speed etc. Once, you send the audit report, you can use that as an opportunity to do lead nurturing. For example, if you want to promote your website development services, you can send a carefully planned set of emails on the importance of having a user-friendly website and how you can create them for the customers. Your leads start engaging with your emails and get converted into customers when they see value in doing business with you. What’s the advantage of using white label SEO? 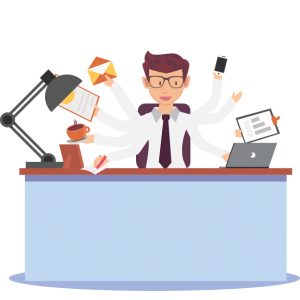 You save time and efforts taken to generate leads: As we mentioned earlier, eBooks and social media promotions are a good way to generate leads, so are cold emails. But that’s going to take time and efforts. Also, today’s customers like to see the results first before engaging with you (or before even opening your email). An audit report will help your prospect get an idea about your ability and give you the opportunity to engage with them in a better way. That’s how marketing agencies such as Fractional CMO increase leads by 400%. Offers room to provide new services: You have to constantly innovate and offer new value-add services to your customers to remain a step ahead of your competition. With white label SEO, you can upsell or cross-sell new solutions to the customers and even offer a full suite of solutions to increase your ROI. For example, if you are a website developer, you can do the website audit as a value-add and open room for new opportunities such as SEO services to optimize the website. Saves cost on developing a tool: One major benefit of using a white label SEO audit tool is you don’t have to spend money or build a team to develop the tool from scratch. You can leave it to the experts to do it. Tools like RoboAuditor are easy to install. All you have to do is embed the code on your website and then leave it to the tool to automatically generate the results for you. The first thing that you must check for while selecting the tool is if it really is a white label tool. If the developer adds their logo in the audit report, then it cannot be called a white label tool in the true sense. RoboAuditor, for example, is a white label tool. The report is generated by them, but it will be sent to your prospect or customer with your company name and logo. Check if the white label SEO tool offers integrations. For example, is the tool integrated with MailChimp to push leads directly or can it be used as a chrome extension plugin to audit any website? Your tool’s job does not end with just generating the report. It should also help you to nudge your customers down the funnel. RoboAuditor offers integration with Chrome, HubSpot, MailChimp etc, which makes it easy for agencies to track, nurture, and manage leads. Check if the tool covers all the SEO parameters. Your white label SEO tool should offer a comprehensive SEO report of a website. It should check for all parameters such as page speed on mobile and desktop, IP canonicalization, page redirects, etc. We have attempted to do a comparison between RoBoAuditor and tools like WooRank and MozBar. You will find a list of SEO parameters in the comparison chart that will help you make an informed decision. Most importantly, check if the white label SEO tool is easy to install. The idea of using a white label SEO tool is to save time on manual auditing and cost on hiring specialists to do the audits. If you require specialized people to install the tool, then it might not serve the main purpose of saving cost and time. RoboAuditor, for example, needs you to just copy and paste a code snippet into your site. You do not require programming knowledge to do it. Want to explore white label SEO for your agency? Try RoboAuditor free of cost for 14 days and see your agency grow to new heights. Why Should I Embed SEO Audit Tool On To My Website And Give Away Free SEO Reports? Today, conversations in the digital era have moved from big data, the concept of managing significant data quantities, to data lakes or data warehouses. With technology impacting many industries and verticals, marketing shouldn’t be left behind. If you are servicing clients by enhancing their organic search metrics, chances are you would be using a host of tools and add-ons, each having its own report format by generating multiple data points. We have seen this in our work across industries, and it becomes inefficient for us to collate the data from key parameters and create a final report to present updates on the subject’s web performance. The nature of the internet and technology makes disruption a daily norm, not just displacing the very elements that brought it fame, with something more better, faster and safer, but introducing better ones to make our lives easier. Combine technology and the web, and you get to run your blog today at price points that would have been laughed at a few years back. But as the market expanded, so did the competition. Long before there were different channels like social media or video, email was the biggest battleground. In fact, today it is still considered the most valued resource to create brand awareness and maintain brand recall. Studies by the DMA report 72% of marketers feel email is a great channel to build loyal and active customers. Yet, as different market forces are putting channels like email through the litmus test of user appeal and relevance, lead-generation strategies are undergoing a transition. If your newsletter sign-ups are taking a dip in performance, be it in form submissions or drop-offs. It’s good to consider the below points to understand fluctuations and forecasts you must prepare for. Let’s hop in. The email marketing story was scripted by Gary Thuerk, a marketing manager who sent the first commercial email to around 400 recipients promoting his company’s product back in 1978. That brought him about $13 million in sales, and as the history books say, there has been no turning back for email promotions ever since. Fast forward ten years to the 1990s. 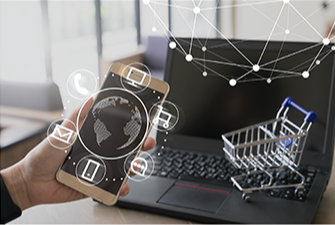 The internet revolution started gripping the world, with email service providers offering personal email addresses to individuals while heralding the era of commercial emails that were cost-effective and result-oriented to the marketer. The flip side was the spate of unrestricted mass-blast emails marketers started inundating users’ inboxes with. These emails were sent with no regard to the relevance of the offers to the recipients. Email as an industry took quite a beating, which led to regulation and numerous complaints from readers around. Marketers realized that they had to adopt email techniques that would foster loyalty, like newsletter sign-ups or segmented emailing. They also started to extract and use data to understand more about their recipient segments, fine-tuned their strategies, to increase open and click-through rates. Emails sent in the 1980s had just plain text. In the 1990s, HTML was integrated followed by the 2000s where portability made email consumption on the mobile increase, leading up to an era today where email is visual, interactive, and segmented. There was a time when RSS feeds were the norm to follow updates from a website like a news portal, but the medium lacked the visual and the filtering appeal that email could offer. The email could offer that with ease, and much more. Additionally, email marketing has empowered readers with multiple spam protocol layers and options for readers to block or mark irrelevant messages as spam. Although statistics show 57% of respondents think there are just too many email messages, targeting a subscription-based mode leads to subscribers showing a 3x likeliness to share email content on social media compared to visitors coming in through other channels (according to Quick Sprout). Besides, consumers who purchase products through email spend 138% more than those who didn’t receive offers via email. It still shows the stickiness factor of email remains, but tapping it involves careful planning. Compare the era when email was the only cost-effective and target-oriented medium for marketers to get their message across, to today, and you would notice a world of difference. Most of all the players in your business offering similar services have a robust email play. It gives readers a vast pool of content to choose from, making the job tough for a particular brand to stand out with a lead management strategy like sign-up form engagement. Besides, there are chances that readers would cater time to the leaders in the market, but the engagement game isn’t a walk in the park for the latter too. As a small or medium business, it is likely a tough ask to reach the Top 5 providers within a short span and command mindshare that is reducing every year. The challenges don’t end there. Readers have only so much time to engage with your email and have become discerning in separating content customized to their requirements from content which isn’t. Email addresses have become virtual currencies, where exchange happens when the value is derived from both sides. Possible Alternatives To Differentiate Your Blog? The positives of email cannot be discounted. You can be sure that your email is sent and your reader definitely sees the subject line unless he chooses to filter it out of your inbox or block it downright. It then shows that you haven’t offered enough value by not using the available date. But if you talk about value, what if you were able to offer more than just value via content through the blogs your share? 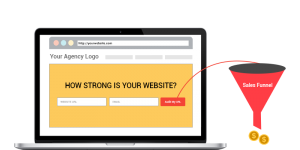 Could it be possible that you could review your client’s website performance for free with a website auditing tool? That could be your persuasion tool during the sign-up form phase, getting a definite buy-in from them to share their contact with you, and allowing your brand to occupy differentiated mindshare. in their mind? 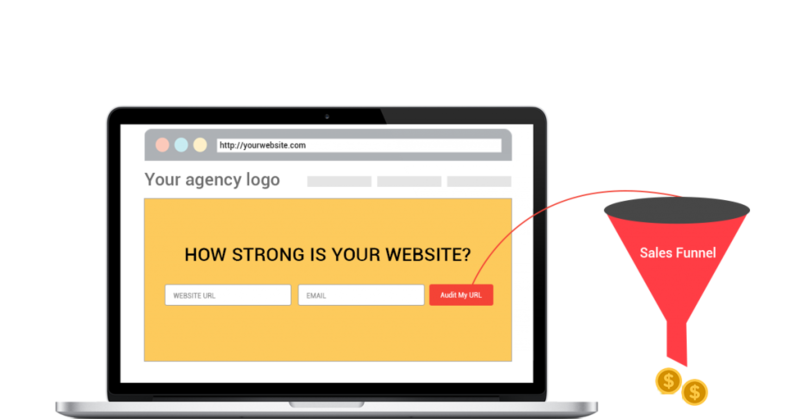 Growth Robotics, for example, offers an easy-to-embed auditing tool called RoboAuditor that performs an analysis of 70 factors, giving your clients valuable insights into the strengths and weaknesses of their site’s performance. But what if this went even better? What if you could offer this tool to your clients, to embed it on their website with a simple line of code, so they could use it to build leads of their own through their audience? This is again possible with the RoboAuditor tool, that is similar to Hubspot’s Website Grader, allowing you to target, offer value, and secure leads at a reasonable cost that someone would find it hard to believe. Get a lead over your competitors by adopting new approaches to help you grow your business faster.